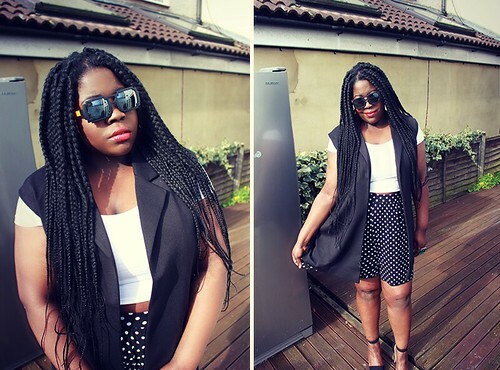 I remember seeing a post a while back on one of my favourite sites, gabifresh.com, where Gabi had on this GORGEOUS white sleeveless blazer. 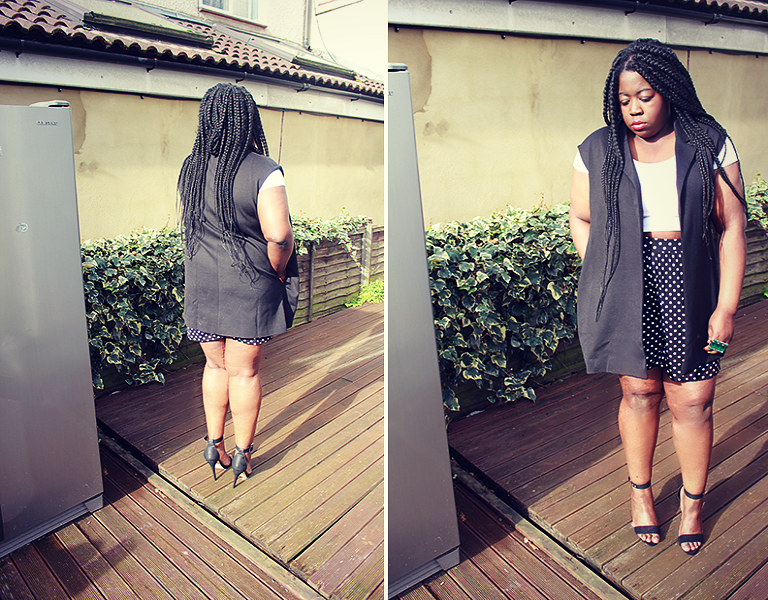 Since then, I made it my aim to track down a sleeveless blazer in a size fat for me to rock during the Summer months. 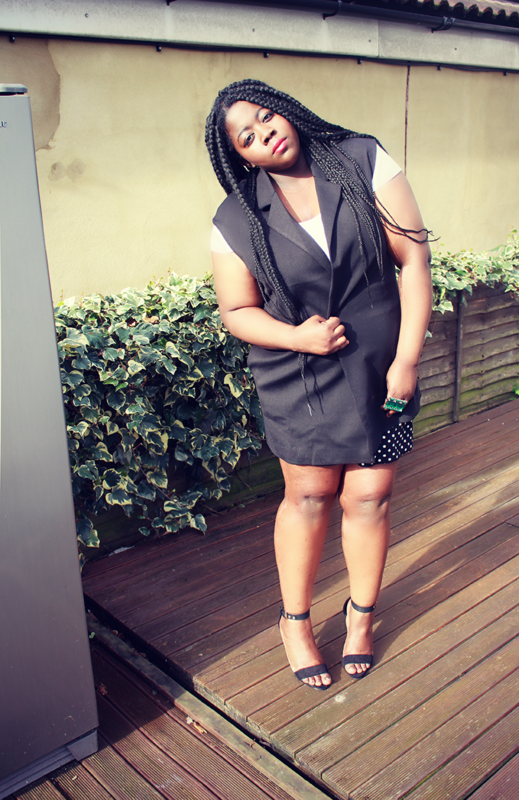 Lo & behold, while browsing the pages of the Simply Be website, I came across this black sleeveless boyfriend blazer. Success! I decided that I wanted it to be a tad oversized so I got the next size up. However I’m not sure if I should have stayed with my right size as the blazer could do with a skinny belt just to make it a bit more shapely on me. Nevertheless, I’m a happy bunny and I can’t wait for the sun to come out so I can rock this on a regular occasion!